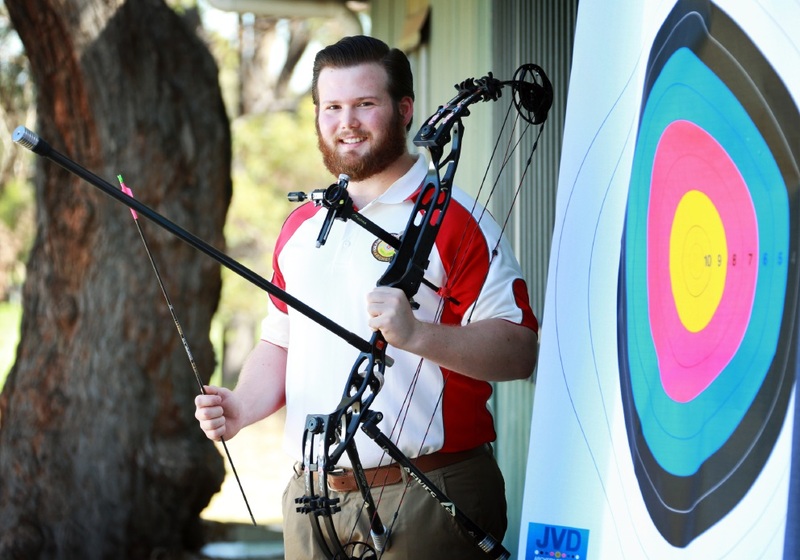 The Kalamunda resident is preparing to jet off to Adelaide for the grand final of the National Matchplay Series next week after a successful season of shooting arrows. “I switched to archery after being a competitive sprint cyclist for years,” Clark said. “I came down to here (to the Kalamunda Governor Stirling Archers Club) one day and had a few shots. Josh competed in his first competition in July last year, where he finished fifth in the state. A month later, he came away from the next contest with a state medal. “August was the state field event, which I like to call ‘archery golf’,” he said. “You go around a whole lot of courses and whoever gets the most points wins. Clark said although he may have ruffled a few feathers, there were not too many hard feelings from more experienced archers. “Some of the older hands who’ve been around the archery scene for a while were a bit surprised,” he said. Clark has also just started work as a physiotherapist six days a week, making his schedule incredibly busy. “When I started playing last year I was still doing my masters,” he said. “So I had to become really good at time management. “But if you want something enough you’ll work for it. Clark said he tried to get down to the club to practise most mornings. “Sunrise is the best time to practise because there is less wind. The more I shoot, the more confident I am with my form and technique,” he said. Clark said he enjoyed archery not just for the competitive side, but the social aspect as well. “Kalamunda is one of the bigger clubs in WA,” he said. “It’s a really supportive, friendly place where you can relax. “I feel like I came to the sport relatively late, being 25 and only just starting, but everyone is really encouraging. “I feel like if I work hard enough I can make some time up on these guys who I’m trying to beat.